Simple donations can make first day of school exciting for kids who might not have many new things. Help House has begun a collection drive for all sizes of children’s underwear and socks, to be distributed before school starts. If a church, service group or youth organization would like to participate, let Help House know. 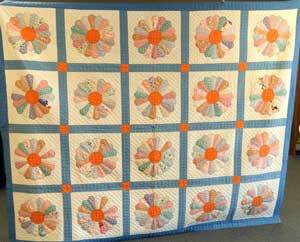 This is the featured quilt in Help House’s latest quilt raffle; also on display at Citizen’s Bank, Lyndon. Adding to Help House’s summer fundraising efforts are three quilts that have been donated for a raffle. This week’s highlighted quilt is on display at Citizens State Bank, in Lyndon. It is a full size antique quilt, Dresden Plate design with Nut Hatch stitching, donated by Deloris Culley. Tickets may be purchased at Citizens State Bank for $1 a piece or 6 for $5. 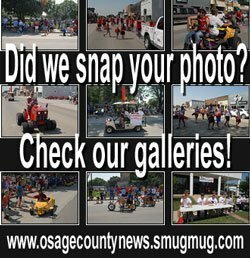 Help House continued its summer fundraising with a silent auction during the Melvern Sunflower Days Fair, raising $1,000. 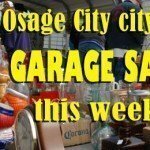 Help House Volunteers are working to collect donations for new auction items for the Overbrook Osage County Fair next month. Have you become a member of the Help House Fan Club? Help House is still collecting new or good used fans to distribute to those without air conditioning. There is still a lot of summer left. The next Harvester’s mobile pantries will be in August; anyone interested in volunteering for any of the mobile pantries is asked to call Pam Biyleu at 785-828-4888. The mobile pantries serve all; no proof of income is required to participate and receive food. The total number of individuals Help House served during the month of June was 423. The total number served Jan. 1-June 30, 2014, was 905. Donors, please note: Farm raised meat such as hamburger, chicken, and sausage may also be donated if it has been processed in a USDA inspected plant and is dated. Donors of canned goods and other food are asked to check expiration dates before donating to ensure they are not outdated. Help House is able to accept donations of clothing and other items as well as items for the food pantry. 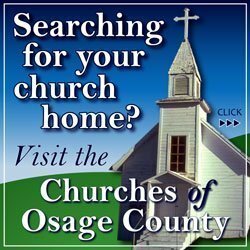 Cash donations for the food pantry are always welcome and can be mailed to Help House at PO Box 356, Lyndon, KS 66451. Help House is located at 131 W. 15th St., Lyndon. For more information, call Pam Biyleu at 785-828-4888 or email [email protected]. Information thanks to Raylene Quaney.